Are you ready for Indoor Golf? 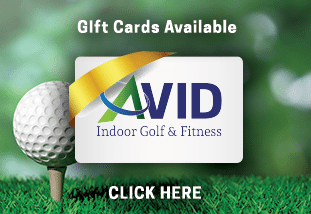 AVID Indoor Golf & Fitness is western NY’s premier golf entertainment center! 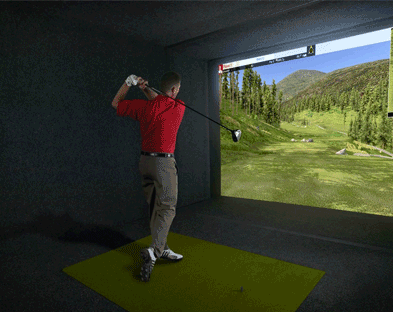 *Please note: Golf simulators are open by reservation only during spring & summer months. Request your tee time or reservation 2-3 days in advance. Doors are closed during the outdoor season if there are no reservations scheduled. Avid will open 10 minutes prior to your confirmed reservation. We are open to the public! 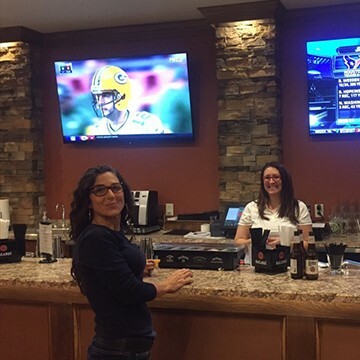 Bring your clubs to play on the best golf simulators in our full bar and grill. Located next door to Ridgemont Country Club in Greece, NY, we are the place for golfers, athletes or anyone that wants to play golf and have fun! Give the gift of golf and buy a GIFT CARD here. The most fun and advanced simulators I’ve ever seen. The race car and shooting were as much fun as the golf! I can’t wait to go back. – John C.
What a GREAT simulated experience. From golf, to shooting and racing. Food and a bar too go along with the fun. Great way to spend some time with friends, kids or family. 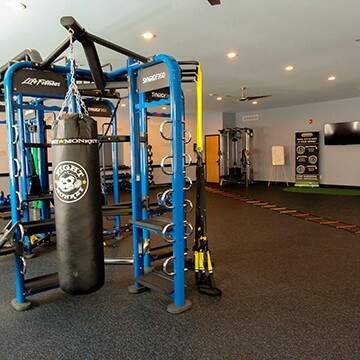 – Mark P.
“AVID Indoor Golf & Fitness brings a one of a kind entertainment environment lacking in Rochester! 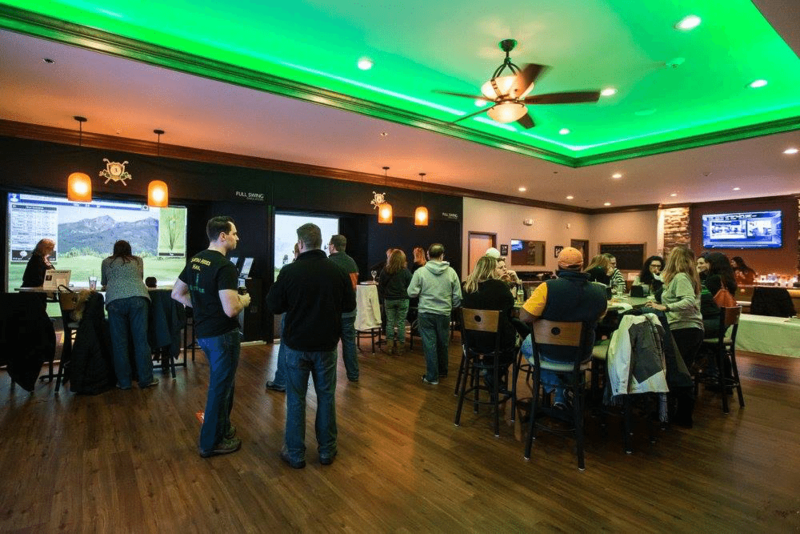 I can’t wait to try it with all my friends and family!” – Sean M.
Q Can I host an event at AVID Indoor Golf or rent the whole place? 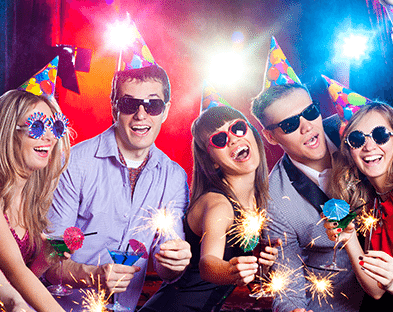 Yes, catered parties and special events can be hosted at our facility. Please contact us for more information and available dates. Q Can we just arrive and play? Book your tee times in advance. Walk-ins are allowed, however, there is no guarantee time is available for play. Tee-times can be made days in advance. If it’s your first time visiting, we recommend you sign up online or call to book your reservation in advance. Arrive early so you are ready to play at your tee time. Our Golf Professional or host will walk you through the game features and details of how the simulator works and set you up. If you have questions or need help during play, someone will provide immediate assistance. Children under 16 must be accompanied by an adult at all times. Only 1 person is allowed in simulator swing/play area at a time. Players waiting should remain outside play area for safety and to avoid accidents. Food and beverages are not allowed in sim area. Golf bags should be placed on waiting wall or inside sim during play. Players that arrive late or miss tee-times will be charged for time reserved. Late arrivals may play past reserved time only if schedule permits. Q Do I bring my clubs & can I store my clubs? A Absolutely bring your clubs in for the best experience if you have them. We also can store clubs for a fee. Club rentals are available on a first-come basis for a fee for out of town guest and visitors. Q How long does it take to play a round of indoor golf? Play can be faster or slower depending on socializing, course difficulty or handicap. You are welcome to book half-hour sessions if you want to practice on the indoor driving range, chipping area, putting or play other games. Simulator time can be reserved by the hour or half-hour increments with up to 8 players per simulator. Additional time, can be purchased in 15 minute increments if time is available. Q How many people can we bring? A You can bring as many people as you like as sim time is priced per hour, not per person. For normal pace of play however, we recommend up to 4 golfers per simulator. For example, if you have 8 golfers that want to play 18 holes, we recommend reserving 2 simulators for 4 hours each. Q How much does it cost and how do I pay? A It usually costs about $20 for nine holes, however, rates are published on our site under Indoor Golf. Credit/debit card or cash is acceptable payment for playing time, services and sessions. Reservation cancellations are allowed up to 24 hours in advance. Members will be charged for cancellations less than 24 hours for scheduled tee times or for no-call no-shows. Q Is food and beverage available? A Of course! We have a full bar & grill with delicious, fresh food, pizzas and pub grub available before, during or after your play. No outside food or beverage is allowed to be brought on premises. Q What courses or what games are available to choose from? Q What else do I bring or wear? A Bring your golf shoes, soft spikes or sneakers. No spikes allowed. Wear golf attire or comfortable, respectable clothes. Jeans and shorts are acceptable. Q What is a simulator? 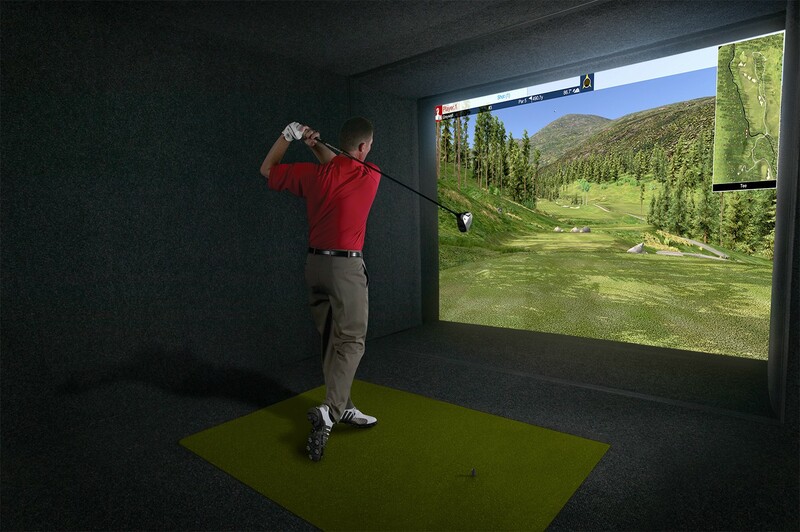 A Simulators are a where players play indoor golf and other games. They are made with a combination of high-speed cameras, infrared sensors and computer technology. 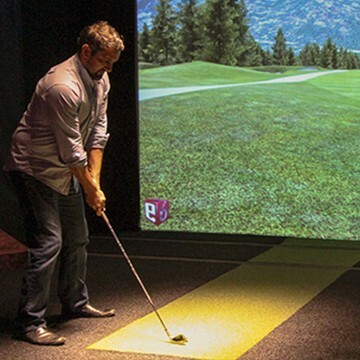 Players use golf clubs and real balls to hit into a large 3D movie screen, seamlessly projecting play onto and into an amazing virtual world! Every swing, chip, putt, ball tracking information and other data is recorded and displayed to help you improve your game. 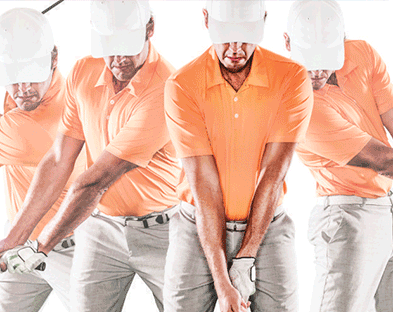 We only use “Full Swing” simulators, the most accurate and best golf simulators in the world. Our simulators also can be used to play other games, watch HD movies & television and more! “Thank You for allowing Brian Jacobs Golf the opportunity to coach and teach golf at Avid Indoor Golf and Fitness. I have been in the “teaching game” for many years and have taught indoors from a 10′ x 10′ net to domes but have to tell you that Avid eclipses those experiences for both me and my students. The atmosphere is warm and inviting! The playing and practice areas are spacious and the technology (Full Swing Simulators and Swing Catalyst) offers detailed data similar to my Trackman. My private students and the USA Jr National love coming to Avid to train and cannot wait to come in and play on their off days. Purchase gift cards for the holiday season! Click here to visit our secure online store!